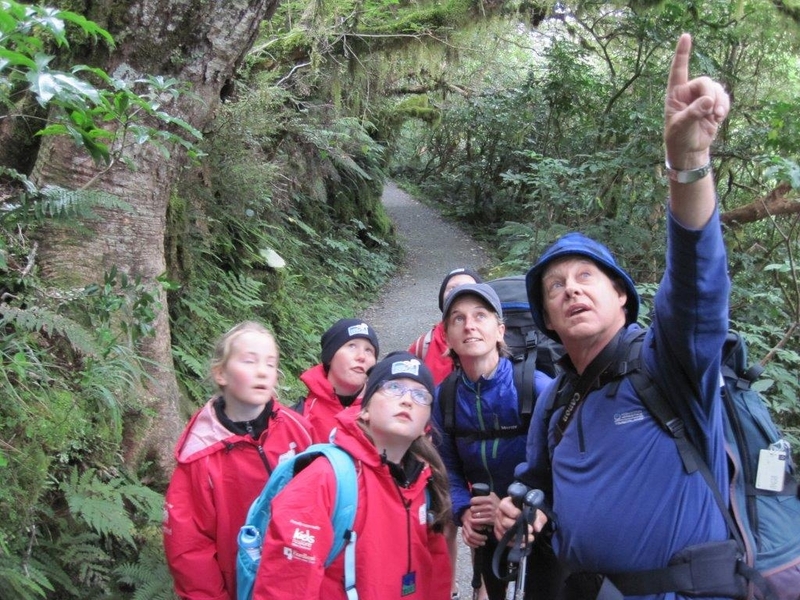 In February, students from across New Zealand were able to explore the Routeburn Track without leaving their classrooms. The ‘virtual field trip’ was run by LEARNZ who, with the help of DOC staff and other experts, filmed the famous South Island walk over a three day period. LEARNZ ‘virtual field trips’ are free for schools to enrol in. Essentially, they connect classroom students with experts out in the field, who act like the students are on site with them. This allows the kids to see and experience things as if they were there. LEARNZ started in 1995 with the purpose of bringing Antarctic science research to New Zealand classrooms. The concept grew and, since then, they’ve done a huge range of trips—from Codfish Island/Whenua Hou to Wellington. 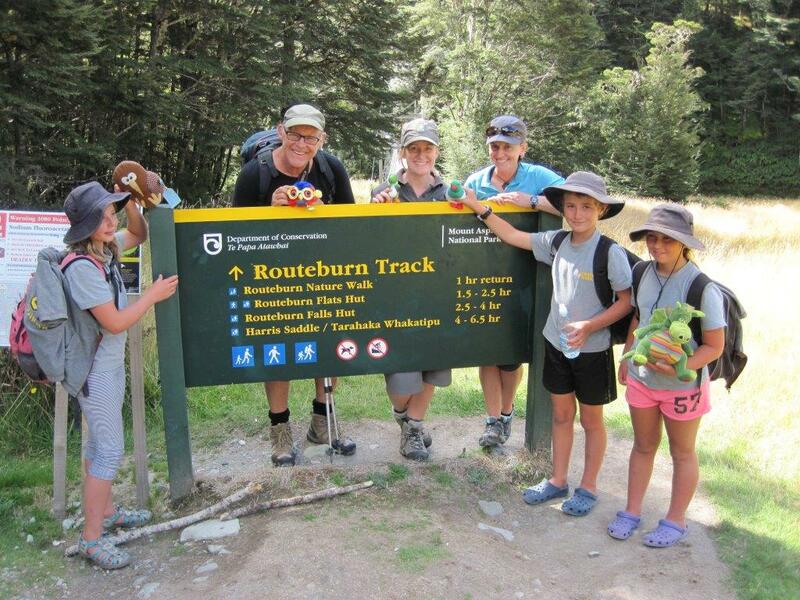 Over 130 classes throughout New Zealand signed up for the Routeburn trip. That’s an audience of nearly 4,000! The trip was part of the education programme associated with the Virtual Great Walker competition run by DOC and Air New Zealand. The purpose of the Routeburn trip was to: prepare students for what it means to do a Great Walk (from picking up your tickets to staying in a hut); introduce the wonderful species you can see along the way; and to show how DOC (and others) are looking after the track. Normally, between one and six experts take part in a LEARNZ field trip. We were lucky enough to have two hut wardens involved, along with the energetic and ever enthusiastic Ruud Kleinpaste (Ruud is a lot of fun to go on a tramp with, particularly if you sneak out at night to go bug spotting!). We extended the invite to local schools, and students from both Glenorchy and Te Anau assisted with the trip. Students provided some of the expert advice; the kids from Te Anau are part of the Kids Restore the Kepler programme so were able to teach those watching how to set a trap and what pests may be seen on a Great Walk. Glenorchy School ended the trip by showing us around their school and getting viewers to think about what they could do for conservation once the tramp ended. There was also a quick visit to the Kiwi Birdlife Park to see the elusive whio and kea. Done – 3 days and 20 videos later! 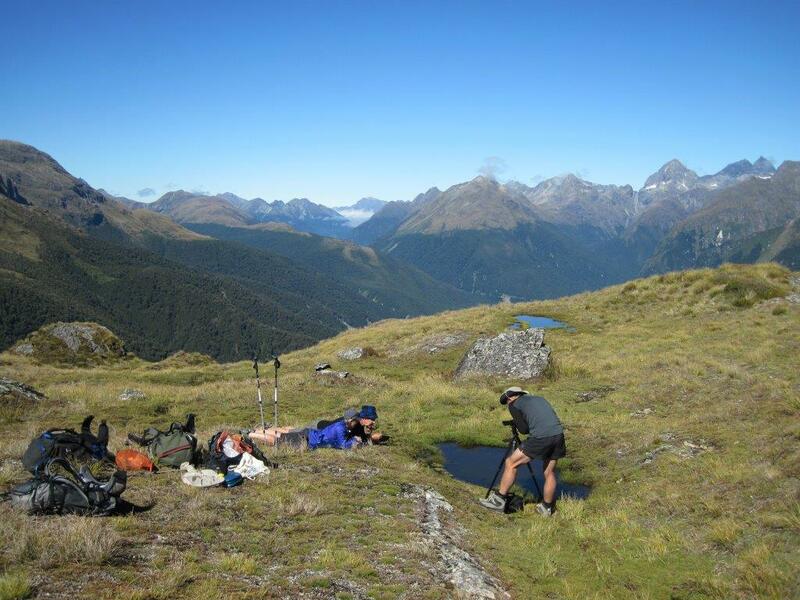 LEARNZ had never before filmed a multi-day tramping trip in the back country (far from internet access) but everyone agreed it was worthwhile. Students experienced what it was like to walk in the rain with a rucksack—and the excitement of exploring in the forest and seeing a robin stop for a chat. What more could you ask for? What an amazing teaching tool! Sounds like a lot of fun was had pulling the ‘excursion’ together… do you know how many students took part in the virtual field trip back in the classroom? What did they think of it? ?